Do you have a book club? Here are your discussion questions for Waking Up Joy. I’ve been the guest at some book clubs this year and I’ve loved hearing discussions of Waking Up Joy from the point of view of my readers. Thanks to reader input, there is now an official list of Book Club Discussion Questions for Waking Up Joy. 10 question are included here, but there is also a list of 15 that I compiled for libraries. I’m happy to provide those to book clubs who need a little more discussion. Thanks for choosing ‘Joy’ for your club! Joy Talley spends the first seven chapters narrating her story from inside her body, trapped in a coma. Why do you think the author made this choice, and what effect does it create? There are recurring themes of reawakening throughout the novel that reflect more than Joy’s medical awakening. For example, in the beginning of chapter seventeen Joy says, “I think reclining around in a coma makes one take a closer look at life. I did so and found mine to be very dull.” What other examples in the book reinforce a layered meaning of waking up? The novel is set in Northeastern Oklahoma where the state meets the corners of Arkansas and Missouri at the foot of the Ozarks and has a rich Southern feel. Did the author’s description of the setting match what you already knew about Oklahoma? How did the setting set the tone of the novel? Joy describes the Talley’s century-old farmhouse as a sagging example of Americana. How might the structure of the house, with its Inglenook chimney and hidden passages, serve as a metaphor for Joy’s personal journey? Spavinaw Junction is a small town, and yet Joy manages to keep her secret from everyone for decades. Why doesn’t she feel people in her town will be supportive? Thinking about how events unfold throughout the novel, how do her feelings about her small town change? How do the misguided actions of the quirky Talley family threaten to keep Joy from having a full future? All of the Talleys except for one have seen their dad’s ghost. When does he appear, and what do you think his presence means? Joy has to make a choice between the two men who love her. How does each man help Joy discover her true self, and how do you feel about her choice? What might have happened if she had chosen differently? How does the notion of luck and magic affect the Talley family? How does it affect Joy? What about the good parts? (The magic apple tree, the chocolate, the teas.) What purpose do they serve? 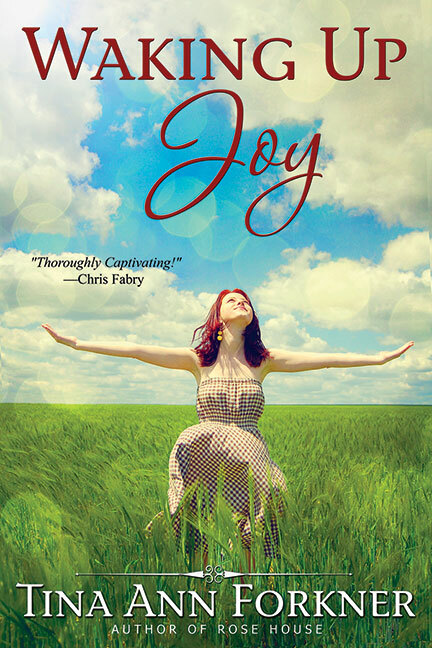 Joy spends a large amount of time with her teenaged niece, Ruthie, who also serves as the daughter that Joy never had. How does Ruthie’s coming of age parallel Joy’s, and how do Ruthie’s actions affect the outcome of the story? Previous How Do Writers Overcome Writing Obstacles?